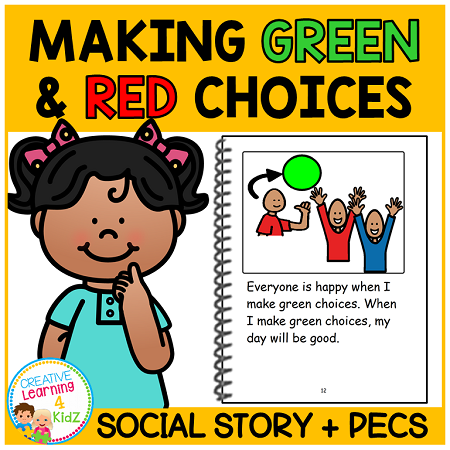 This social story is about making green and red choices. 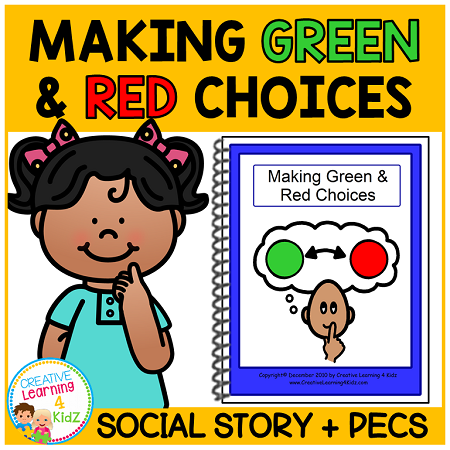 Explains what green and red choices are. 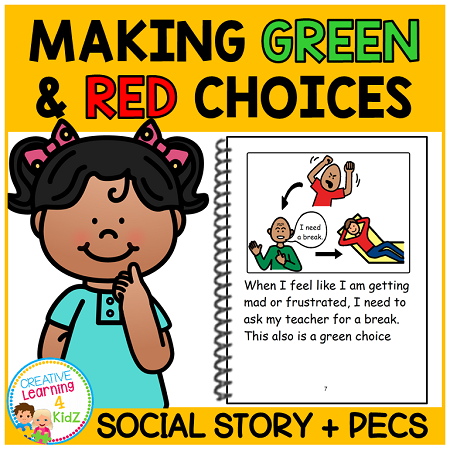 Gives examples of both green and red choices. How people feel when these choices are made. 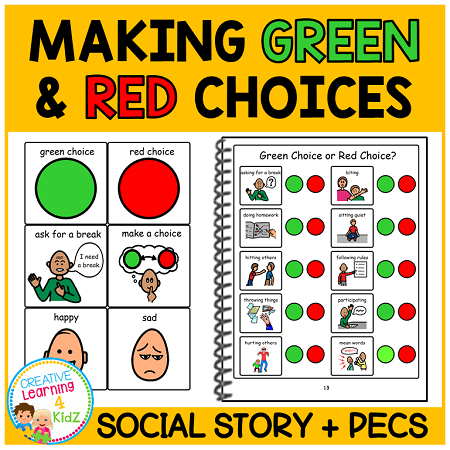 A page with 10 behaviors w/a green and red circle next to each for your child/student to point or mark the correct choice. The purchaser is granted permission to download and print this item for non-commercial individual or single classroom use only. This file and finished product is copyright protected and is not to be shared or resold.